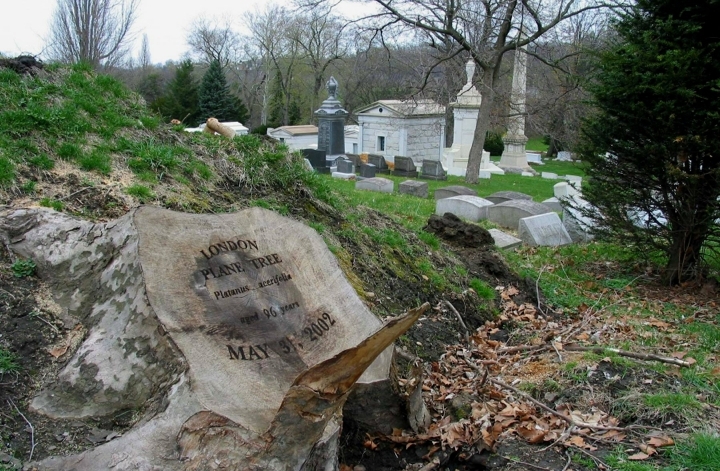 Fallen Timber is a site-specific installation in response to a macroburst storm that uprooted hundreds of trees in Pittsburgh’s Allegheny Cemetery. Allegheny Cemetery dates from the 1840’s and is one of eight original “rural garden cemeteries.” These cemeteries pre-dated public parks in the U.S. and were originally designed as gathering places for the living as well as a final resting place for the dead. 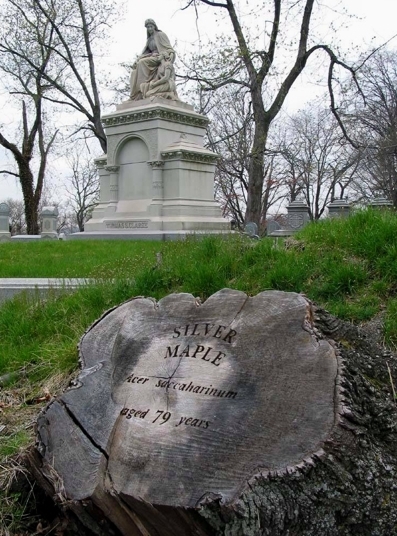 I worked throughout the active, historic garden cemetery labeling the stumps of century-old trees felled in a storm with tree name, species, age, and dates of germination and death. 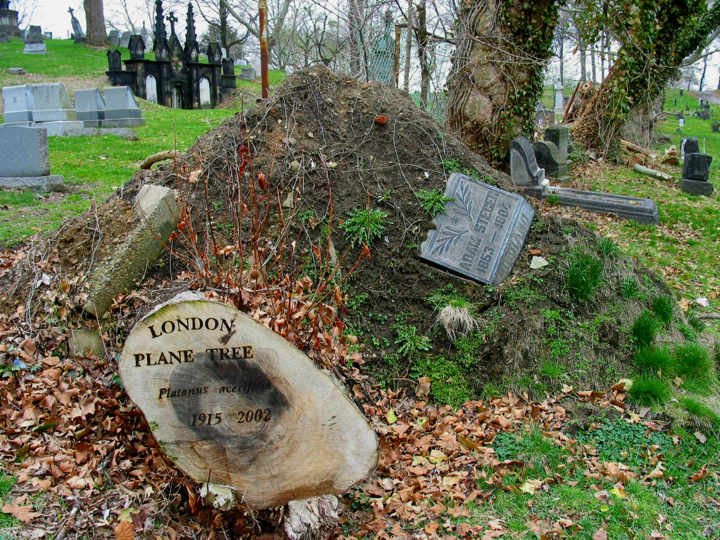 Transferring the traditions of cemetery markers to the tree stumps drew parallels between the lives of individuals commemorated in the cemetery and the lives of the trees. The stumps served as catalysts for imagination and a starting point for reconsidering our relationship to death and the cemetery grounds.